Unveil haunted castles as you traverse across the dark land. Make your blood run cold with this spooky Match-3 adventure that will leave your spine tingled and your hairs raised. A scourge has taken over the kingdom, razing its grand strongholds to the ground. Only you can keep the evil at bay. Unveil haunted castles as you traverse the map across the dark land. Explore enormous levels however you choose in one of three modes to fit your play style. Play the puzzle and crystal levels to unlock mini-games including Hidden Object and jigsaw to earn bonus money and unlock creepy-crawly decorations. 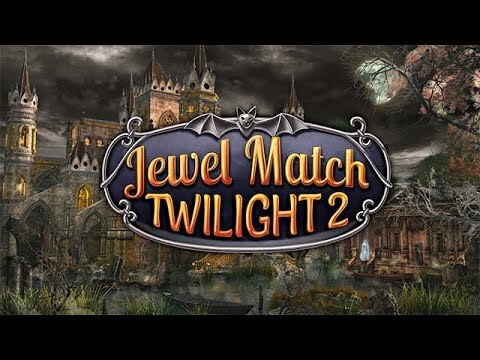 Enjoy an eerie soundtrack while you explore secret crypts that hold untold riches in Jewel Match: Twilight 2.